Pioneer Ventura County rancher Orville A. Wadleigh built this craftsman bungalow ca. 1910 for his daughter Dacy Wadleigh Fazio, who lived in the home until her death in 1974. 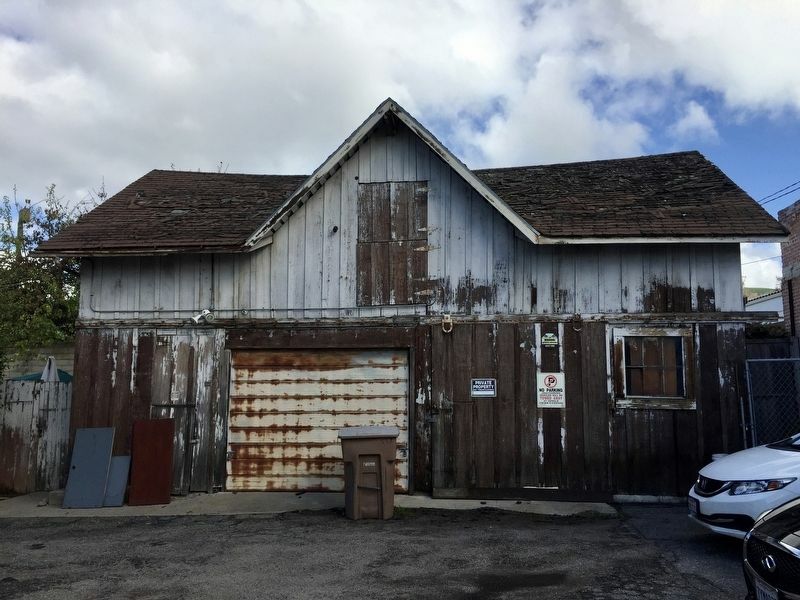 The adjacent carriage house/barn of board and batten construction is one of the few remaining structures of this type in the downtown area. The house was restored by the Ira Goldenring Family in 1980. Location. 34° 16.706′ N, 119° 17.533′ W. Marker is in Ventura, California, in Ventura County. Marker is on East Thompson Boulevard west of South Chestnut Street, on the right when traveling west. Touch for map. Marker is at or near this postal address: 557 East Thompson Boulevard, Ventura CA 93001, United States of America. Touch for directions. Other nearby markers. At least 8 other markers are within walking distance of this marker. 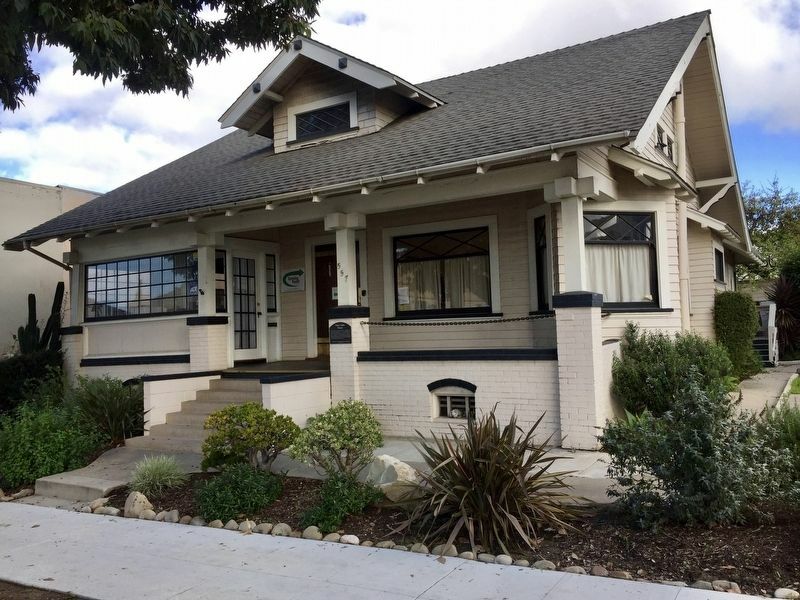 Dr. Cunane House (about 300 feet away, measured in a direct line); 632 E. Thompson Boulevard (about 400 feet away); 682 East Thompson Boulevard (about 600 feet away); Ventura Theatre (about 700 feet away); Erle Stanley Gardner’s Law Office (approx. 0.2 miles away); Groene Building (approx. 0.2 miles away); Jack Rose (approx. 0.2 miles away); Sifford House (approx. 0.2 miles away). Touch for a list and map of all markers in Ventura. More. 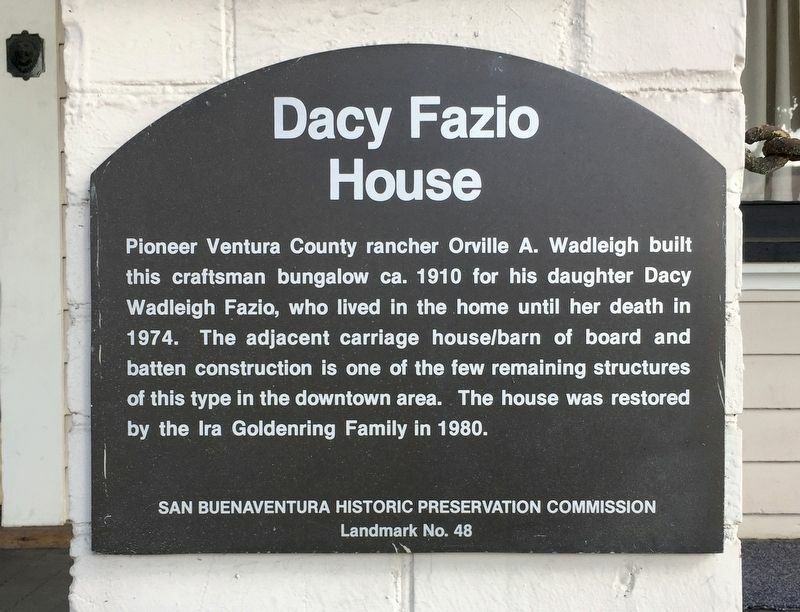 Search the internet for Dacy Fazio House. Credits. This page was last revised on March 6, 2019. This page originally submitted on March 6, 2019, by Andrew Ruppenstein of Sacramento, California. This page has been viewed 60 times since then. Photos: 1, 2, 3. submitted on March 6, 2019, by Andrew Ruppenstein of Sacramento, California.